Political prisoner Mohammad Rashidi released from Tabriz prison after serving out his sentence on July 30, 2016. On May 30, 2016, He had arrested and transferred to Tabriz prison to serve his sentence. In August 2013, Rashdi was sentenced to 4 months in prison by the third branch of Tabriz Revolutionary Court on the accusations of assembly and propaganda against regime. 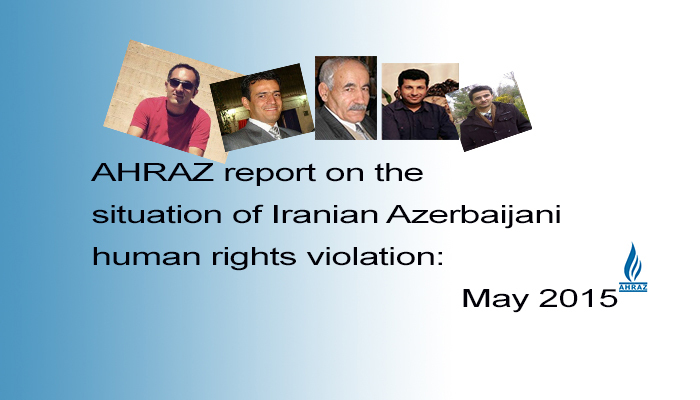 On 30 April 2013, Rashidi was arrested in Tabriz together with Amir Hadian, Azerbaijani folk musician Ashiq Eisa Qarakhanli, along with two citizens of the Republic of Azerbaijan; Khalide Khalid (Historian and member of the Azerbaijani science academy) and Shamkhal Hoseynov. On 25 June 2013, Rashidi was released on bail from Tabriz Central Prison after 56 days in temporary detention. Previously, on 15 August 2012, Rashidi along with three other Azerbaijani Turk activists, was detained by the security forces while they were delivering assistance to the earthquake-affected people of Varzghan which had been 4 months in prison, issued at the third branch of Tabriz Revolutionary Court in July 2013. On 16 July 2016, Mr. Shahram Radmehr, one of the most prominent Iranian Turk activist was released on parole after 43 months imprisonment from Meshkin-shahr prison. It needs to be mentioned that Mr. Radmehr, along with other four members of the Board of Directors of Yeni GAMOH Party were sentenced to 9 years in prison in June 2013 by The Revolutionary Court of Tabriz. The prominent activists, Shahram Radmehr, Latif Hasani, Mahmoud Fazli, Behboud Gholizadeh and Ayat Mehrali Bayglu had been arrested on the charge of forming an illegal group, the New Southern Azerbaijan National Awakening Movement Party (Yeni GAMOH), and distributing anti-government propaganda in February 2013. Before, Mr. Radmehr, Mahmoud Fazli and Behboud Gholizadeh had also been released as conditional freedom. The parole for the other prisoners of Yeni Gamoh founders has been rejected several times so far. As further information, YeniGamoh party was about to apply for registration at Ministry of Interior of the Republic of Iran that all the founders were arrested. The party was going to defend minority rights for Iranian Turks. Following the protests in various cities of Azerbaijan provinces (with the majority of Turk population) in response to an article, which published in the newspaper of “Tarhe No”, a wave of arresting protesters in these cities began. Here is the known list of the activist, who been arrested and their last situation. More information about the protests The Newspaper “Tarhe No” published an article, which included racist insult against Turk and women published on 20 July 2016. “Turks has bad race like women” was one the sentences on a story for children in the newspaper. The newspaper “Tarhe No”, which is published in Tabriz (the greatest city of Iranian Turks), is known to be close to Iranian Inelegance Service. Previously the newspaper had also published many insulting articles against activists and civil society members. As protest against the racist publication, there were demonstrations, which held by the Turk activists in many of Azerbaijani cities in Iran including Ourmia, Tabriz, Ardebil, Zanjan, Khoy etc. The protests began on 25 July 2016 and lasted for some days. Although the demonstrations have been peaceful and non-violent, many of activists were been arrested or summoned by police and Intelligent forces. Houshang Naghizadeh was arrested before the beginning of the demonstration in Ourmia and transferred to the Police Detention Center of “9 Pelleh” on 25 July 2016. The day after, he wes charged with “to motivate young people to participate to the demonstration” at the 6th branch of the prosecutorial Office in Ourmia. Afterward he we released on bail of 100 million IR. Mr. Naghizadeh had previously been arrested in connection with the ceremony of universal day for “mother tongue” in 2006. Ali Azizi was arrested at the demonstration against the racist publication on “Tarh No” newspaper in Ourmia on 25 July 2016. He was released after signing a commitment. Ms. Ulduz Ghasemi was arrested at the demonstration against the racist publication on “Tarh No” newspaper in Ourmia on 25 July 2016. She was released after a couple of hours. Mrs. Ghasemi is on the Turk civil society activists who has been arrested in the past. Tohid Rostamian, Ali Asghari, Hamed Nemati, Bahman Hoseini, Soleiman Choupani and Ali Shir Javani were arrested at the demonstration protesting against the racist publication on “Tarh No” newspaper in Tabriz on 26 July 2016. They all were released the day after. According to those who were released, there have been six other activists who have been transferred to Tabriz prison and some to the Revolutionary Guard custody. Ms. Roghayyeh Alizadeh was arrested when she was filming the demonstration against the racist publication on “Tarh No” newspaper in Tabriz on 26 July 2016. She was released after the police seized her cell phone. Reza Soleimanzadeh and Majid Haghverdi were arrested at the demonstration against the racist publication on “Tarh No” newspaper in Tabriz on 26 July 2016. 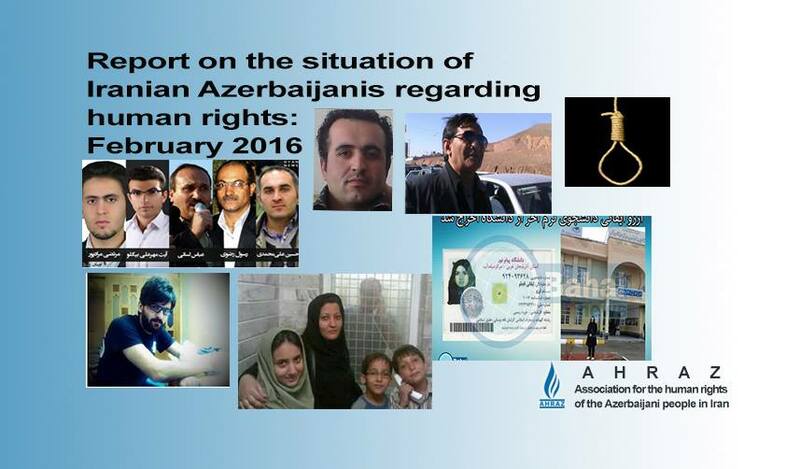 According to HRANA, they have been transferred to Tabriz Prison. Rouzbeh Piri, Ali Jabbari, Ali Hedayati, Ali dabbaghi. Ms. Nayyer Fathalilou and Ms. Marayam Fathalilou Were arrested at the demonstration protesting against the racist publication on “Tarh No” newspaper in Tabriz on 28 July 2016. There is no information about their situation up to now. Mohammad Jolani, Ahmad Mohammadzadeh, Vahid Sadeghi Fard and Hosein Balakhani were arrested at the demonstration protesting against the racist publication on “Tarh No” newspaper in Ardebil on 28 July 2016. There is no information about their situation up to now. Mehdi Houshmand and Reza Vahdat were arrested in connection with the demonstration protesting against the racist publication on “Tarh No” newspaper in Ardebil on 27 July 2016. The have been beaten during the arrest. There is no information about their situation up to now. Abolfazl Imani and his 7-year-old daughter Aylar Imani, were arrested at the demonstration protesting against the racist publication on “Tarh No” newspaper in Zanjanl on 28 July 2016. Aylar was delivered to her family after a couple of hours but Mr. Imani was released one day after within a waranty bail. Salman Araghi, Vahed Safari, Javad Alizadeh, Farhad Soleimanpour, Hosein Bostanchi, Mohammad Hadi Abbaszadeh, Mehrab Kazemloui and Said Varmazyar were arrested at the demonstration protesting against the racist publication on “Tarh No” newspaper in Khoy on 28 July 2016. They were beaten by Police forces so that Mr. Bostanchi head was bloody and transferred to hospital. All the detainee have been released on bail the day after. The Prosecutorial office of the Revolutionary Court in Khoy has charged them with “disturbing public order”. Ali Ebrahimi was arrested at the demonstration protesting against the racist publication on “Tarh No” newspaper in Tehran on 26 July 2016. According to Hrana, his situation is unknown yet. Morteza Karimi was arrested in connection with the demonstration protesting against the racist publication on “Tarh No” newspaper in Maragheh on 26 July 2016. According to Hrana, his situation is unknown yet. Amir Esmail Yar has been summoned by Police in Ourmia in connection with the demonstration protesting against the racist publication on “Tarh No” newspaper. 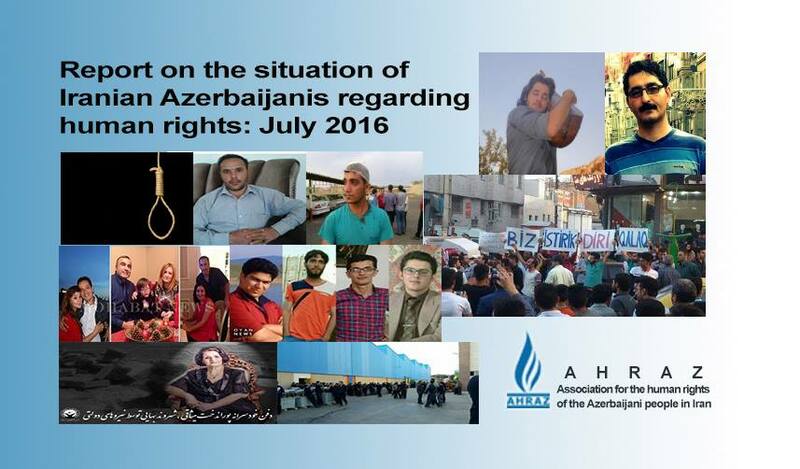 On 30 June 2016, Ibrahim Nouri and Akbar Jahangirzade from Ahar City as well as c and Ali Hamzezade from Tabriz City were detained by security officers. Ibrahim Nouri and Akbar Jahangirzade were released after a day in detention. On 17 July 2016, Milad Akbari and Ali Hamzezade were released from Tabriz Central Prions on bail after 17 days in detention. These two activists went on hunger strike after their arrival in detention centre because of the lack of clarity about reason for their detention. Habib Sasanian who had been transferred to solitary confinement of Tabriz Central Prison after a month detention in the Tabriz Intelligence Detention Centre has been now transferred to the section 12 of this prison. He has been also taken to the Tabriz Intelligence Department several times during his time in prison. In April 2016, Habib Sasanian altogether with Mehdi Javadzade, Hamid Saghafi, Babak Avand, Ismail Afkhami and Younes Rahimi were detained. In June 2016, the general attorney of East Azerbaijan courts introduced these activists as “six members of the spy organization, GAMOH”. As the general attorney claims these activists collected classified military and economic documents and delivered them to the enemies of the state. On 14 July 2016, Siyamak Mirzaei from Parsabad Moghan was arrested at his working place and transferred to Ardabil Intelligence Centre. He has been now transferred to the Evin Prison. This activist was arrested in October 2011 during protests against drying up of Urmia Lake. Earlier, he was arrested by the security forces in 2006, 2007 and 2010 and was sentenced on the accusations of organizing groups and attempts against national security. On 24 June 2016, three Cristian citizens from the Republic of Azerbaijan who were on trip in Iran were arrested in Karaj City by the plain-coated forces of the Intelligence Department of the Revolutionary Guardian Corps. These Christians were residing at a home belonging to an Iranian Christian. They were then transferred to an unknown location. The name of these detainees are Bahram Nasibof Elkhan, 37 years old man, Yusuf Farhadof Talet Oghlu, 52 years old and Eldar Ghurbanof, 48 years old. Seven detainees related to the arrests from the first Asian football match of Tractor Sazi football team were sentenced to totally 49 months in prison by the Tabriz Revolutionary Court. Jafar Rostami Rad, Ali Ahmadi, Ali Sarraf, Ali Saadati, Asghar Ebadzade, Kasra Davoudi and Siyamak Seyfi were sentenced each to seven months in prison. These activists are accused of propaganda against regime. 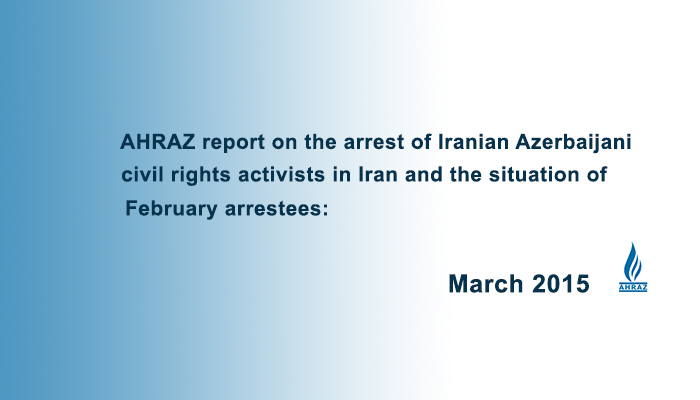 On 8 March 2013, during the first Asian football match of Tractor Sazi Team against Aljazeera Team from UAE, tens of Azerbaijani people and Tractor Sazi fans were arrested in Tabriz city. Many of factory workers, approximately 500 workers at Iran Transfo Factory at Zanjan City gathered to protest against the changes that are being taking place in the factory. The authorities have not responded to these protests. This factory is the largest producer and exporter of the electricity transformers in the Middle East. Pourandokht Misaghi, a Bahai citizen from Tabriz City passed away on 12 July 2016. After her death, her body was buried by the officials arbitrarily at a remote cemetery at the outskirts of Miandoab City. Only after a week and after insistence made by the family of the deceased, the officials revealed location of the burial. It was ordered that only ten people could attend the burial ceremony. She was wife of Allahverdi Misaghi Mamaghani who was hanged along with other seven Bahai citizens after 16 months in prison on 29 July 1981.